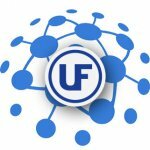 You are invited to take a short survey carried out by UltraFlex. We will use your valuable input in order to improve our product line, as well as the quality of our services. Thank you for your feedback! We will do our best to continue providing a solution for your complex induction heating applications! 3. How would you rate the quality of the product? 4. Which of the following words would you use to describe our products? Select all that apply. 5. How responsive have we been to your questions or concerns about our product? 6. How well do current products on the market meet your needs? 7. 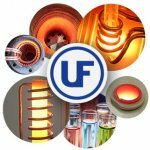 What is the primary reason for choosing us over other induction heating companies? 8. What other products (or product features) would you like us to offer? 9. Do you have any other comments, questions, or concerns? 10. How likely is it that you would recommend UltraFlex Power Technologies, Inc.?